Book Making: Authors: are your ebook sales suffering because of a silly omission? Authors: are your ebook sales suffering because of a silly omission? 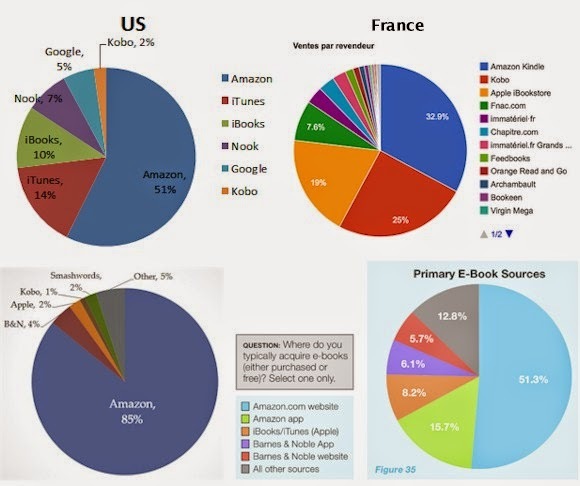 (above) While analysts' percentages vary, Amazon clearly has a huge share of the ebook market -- but it could sell more ebooks. So could you. I talk to lots of readers online and in the real world. All of them are aware of ebooks. Almost all are aware of Kindles. Some have Kindles. Many who don't have Kindles think they can't read an ebook formatted for Kindles if they don't have a Kindle. They seem to think that the ebook business is like the old videotape situation where a VHS player could not play Betamax movies. While there is still some incompatibility with less important readers, the simple fact is that books formatted for Kindle reading can be read on many kinds of devices. It's time for Amazon, authors and publishers to make that important fact known! For the past few years I've been promoting the concept that my Kindle ebooks can be read on a PC, an iPad or other tablet, a Nook, a smart phone or other device. Sure, it's probably good to publish in multiple ebook formats. But, just as many people think that the World Wide Web is the Internet and that Earth is the center of the Universe, there are people who think that "Kindle" is synonymous with "ebook." Authors, if you can make potential readers know that they can read your ebooks without investing in additional hardware, you may sell many more ebooks. 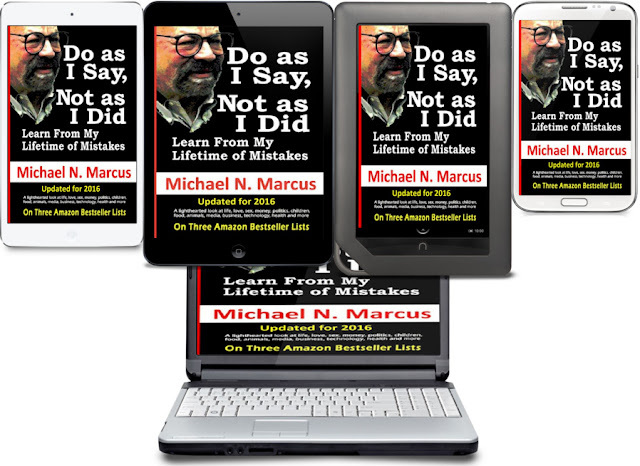 You are free to use my statement: The Kindle ebook version from Amazon can be read on a PC, smart phone, tablet, etc. You do not need a Kindle to read a Kindle book. I also point out that: Images may seem too small on a phone or small tablet such as a Kindle Fire. You should be able to enlarge an image by pressing on the image and then selecting ZOOM, or use a finger pinch-and-unpinch.